Highly concentrated doses of green vegetables that can only be described as a multivitamin in a bottle, but better! Each cold pressed green juice is packed full of the nutrients your body craves, from B vitamins for energy production through to calcium for bone strength. And because these are alkaline juices, they can help your body maintain an optimal pH balance for your health and wellbeing. 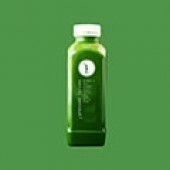 CONSIDERING A GREEN DETOX CLEANSE? 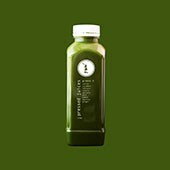 You can buy green pressed juices separately or as part of your Basic Cleanse, Advanced Cleanse or Master Cleanse. These cleanses are designed to help your body reset, flushing out the toxins that have been holding your body back whilst giving you the nutrition you need to maintain your energy levels and keep a clear head. Each has been blended for optimum nutritional value, good taste and refreshment – so you can truly enjoy eating your greens. A green drink detox cleanse is particularly beneficial because of the nutrient-rich properties of green fruits and vegetables like cucumber, broccolini, celery, kale, spinach and lime. Our green pressed juices contain goodies like Vitamin C for boosted immune function, Vitamin K for normal blood clotting, folate for proper brain function, and beta carotene for the prevention of free radical damage and premature ageing. Dark leafy greens and green vegetables are also perfect choices if you’re planning an alkaline juice detox. 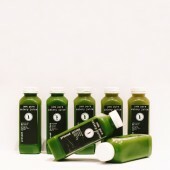 For more information before you buy green juice detox products from Pressed Juices, please contact us.